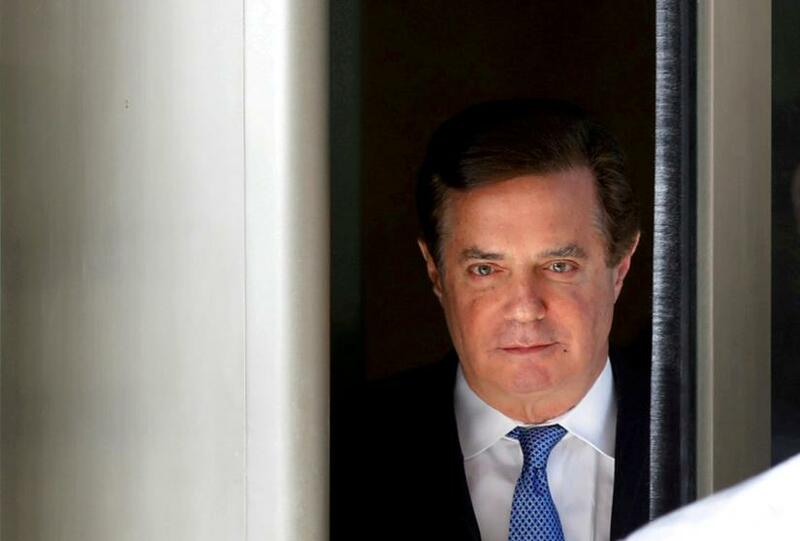 As part of the deal, Manafort, 69, could be required to cooperate with Mueller's probe into Russia's role in the 2016 presidential election and whether Trump's campaign colluded with Russia in the 2016 election. Details of the deal were likely to emerge in a plea agreement hearing scheduled for 11 a.m. ET (1500 GMT) in the federal court. Manafort will plead guilty to one count of conspiracy against the United States and one count of conspiracy to obstruct justice, according to documents filed in the U.S. District Court for the District of Columbia. Five other charges were dropped in the new court filing. Jury selection was due to begin on Monday in a second trial on charges including conspiring to launder money, conspiring to defraud the United States, failing to register as a foreign agent and witness tampering. Manafort's decision could be a blow to Trump, who last month praised his former aide for not entering into an agreement with prosecutors, as the president's former personal lawyer Michael Cohen had. Writing on Twitter on Aug. 22, Trump said, "Unlike Michael Cohen, he refused to 'break' - make up stories in order to get a 'deal. Such respect for a brave man!" According to the court filing, the change of conspiracy against the United States includes money laundering, tax fraud, failing to disclose his foreign bank accounts, and acting as an unregistered lobbyist for pro-Russian politicians in Ukraine. The second count, for conspiracy to obstruct justice, relates to attempts to tamper with witnesses related to his foreign lobbying.